Friendship Profiles celebrate your relationships with close friends. 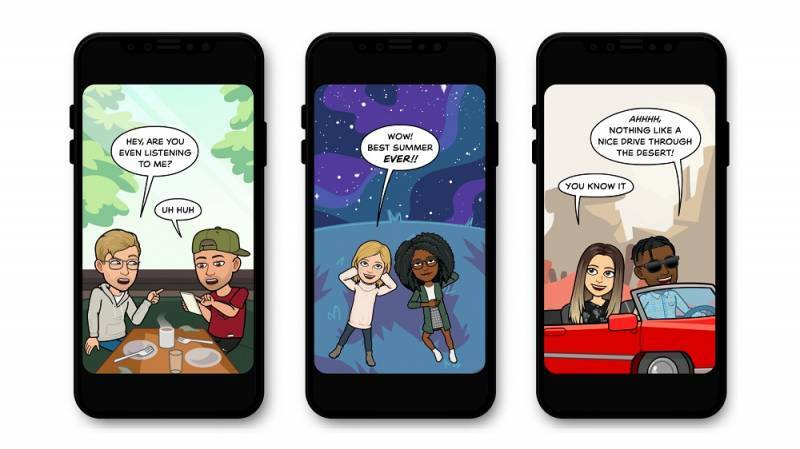 They hold the content Snapchatters have saved in Chat with a friend or a group of friends, including images, videos, messages, links and more -- all in one place. Friendship Profiles will also display your Snap Map location (if you’ve chosen to share your location). Think of Friendship Profiles as the home of your relationship: each one will be unique, highlighting the most special moments you've shared. The more you share and save together, the richer your profiles will be. It’s the fastest and easiest way to find the highlights of your friendship, favorite memories and important information you’ve saved over time. Friendship Profiles showcase relationships privately, unlike other services that emphasize public sharing. A spokesperson from the company said, "Today we’re excited to introduce a new way to celebrate your friendships on Snapchat. Just tap on a friend’s or Group’s Bitmoji to view your Friendship Profile.